The history of Pommard is the legacy of the Micault family. The two will be forever linked in the hearts and minds of the villlage’s vineyards and its peoples. For four centuries, the Micault’s laid down roots in Pommard, breathing life and purpose into the soils. They governed their prosperity, and imbued the spirit of vitality that remains an inspiration to this day. 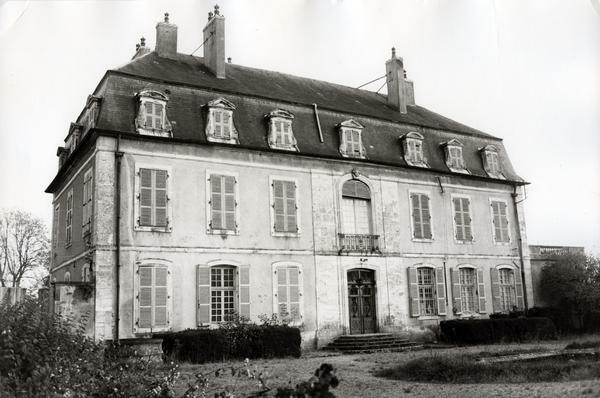 The Micault’s longstanding residency in Pommard began in 1340 when Philibert Micault was bestowed the grand title of Captain of Pommard. It was a reward for his courage fighting against Charles X, the last Bourbon king of France. 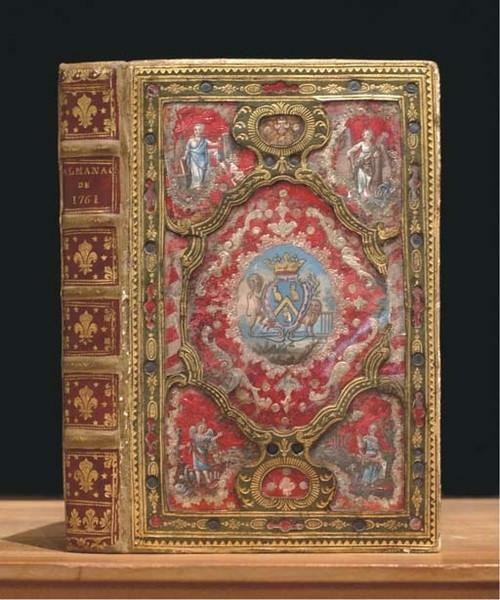 This prestigious duty ; as well as that of becoming Mayor of Pommard ; would be a position awarded to other eminent members of the five families that owned Château de Pommard, since 1726. Before the era of the Micaults flourished in Pommard, it was the Dukes of Burgundy who gave prosperity to the region. They would employ the monks of Citeaux Abbey, to first toil the soils, once belonging to the Romans. In the 14th century however, the Dukes of Burgundy abandoned their Pommard property. They left behind only “a nasty tower in ruins” and moved to Dijon. In their absence, it was the owners of local Château owners who were delegated authority over the land. This would allow new noble families to take control. In 1340, the king of France, Phillip VI ; the first King of France from the House of Valois gave Eudes IV ; one of the last Dukes of Burgundy – to appoint men he trusted to become captains of the kingdom’s fortresses. Eudes IV appointed Phillibert Micault the man in charge of Pommard. Philibert needed somewhere to live. And so began a long-line of Micault’s tied to the geography of Pommard. Indeed, Philibert Micault never left. 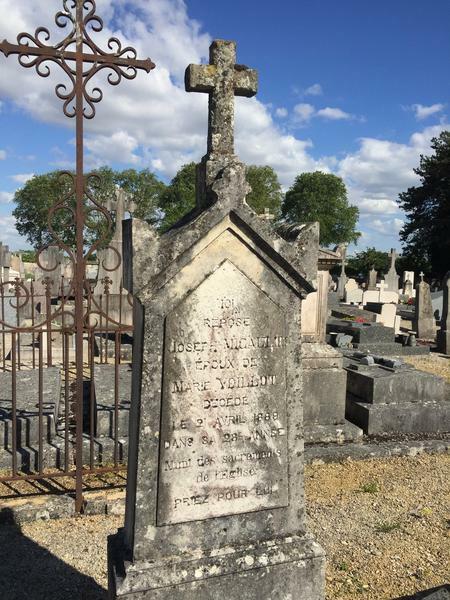 His remains can be found buried in Pommard cemetery, located next to the vines of Clos Marey-Monge. 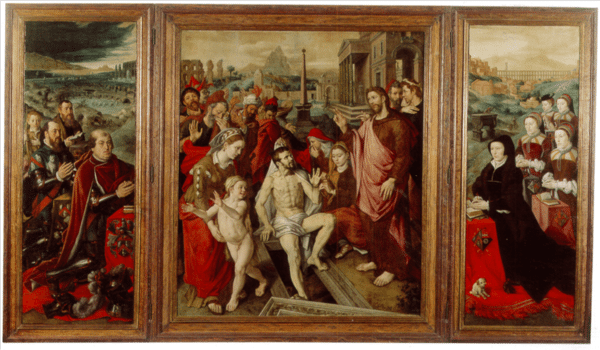 Triptych: Painted in 1559, the Micault triptych was commissioned by Nicolas Micault, son of Jean Micault and grandson of Philibert Micault. It represents the entire Micault family. Following in his great-great-grandfather’s footsteps, Vivant Micault became the first to lay down meaningful roots in Pommard with the first operating Château. Vivant was a fearless entrepreneur. He was known for his ambition to explore the increasingly modern world he inhabited. He embodied his name, a bon vivant, one who intended to live well. After inheriting his mother’s vineyards in 1707, Vivant did not rest on his laurels or the prestigious pedigree of his family name. His inheritance may have opened doors, but it was Vivant’s keen sense of purpose that drove him to excel, explore, and expand beyond even his family’s wildest expectations. With half of his days spent in the wild, urban winters of Paris ; and half in the picturesque, haze of Burgundy summers, Vivant led a fast-paced life. Cavalier, Paris lawyer, farmer general, director general of “powders and salt-peters of the Kingdom,” secretary to King Louis XV… Positions of power that his sons, Jean and Joseph would aspire to achieve. When in Paris, Vivant was possessed by the spirit of work and accomplishment, carrying out his royal duties. 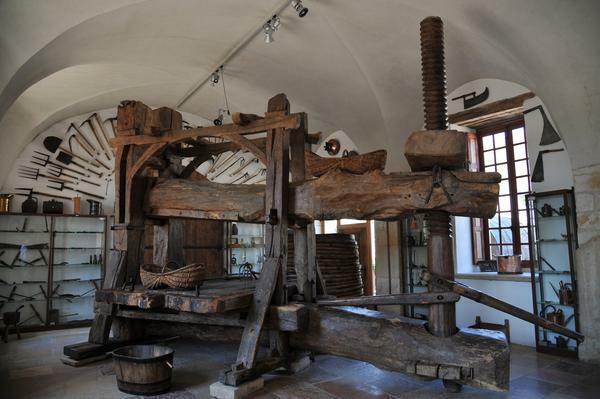 In Pommard, he worked hard operating his prosperous winemaking empire. But, as time wore on, the vines of his family home called out to him. In 1726, at the age of 45, Vivant yearned for the rural beauty of Burgundy and a quiet life in his family’s village, Pommard. He desired to disconnect from his Parisian life and lay down a foundation stone of a grand manor he wanted to call home. 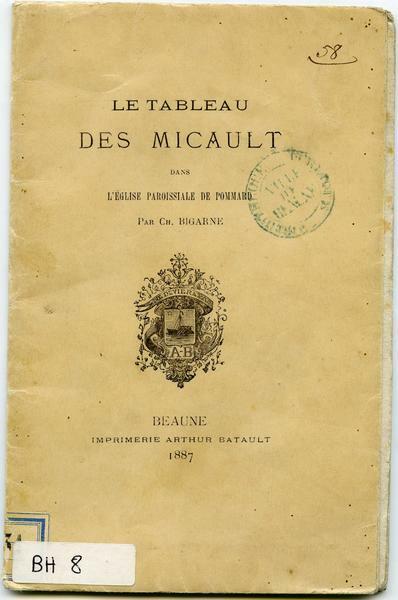 Le Tableau des Micault: Courtesy of Archives de Beaune. First edition, 1887. The respected Parisian architect Charles-Étienne Briseux was employed to build a Regency-style stately manor. It was made out of Chassagne-Montrachet pink limestone. Vivant’s ambition was to surround his vineyards with winemaking facilities and a Château so opulent that it would welcome his Grands Vins into the world with a proud declaration of intent: Beauty is born here. 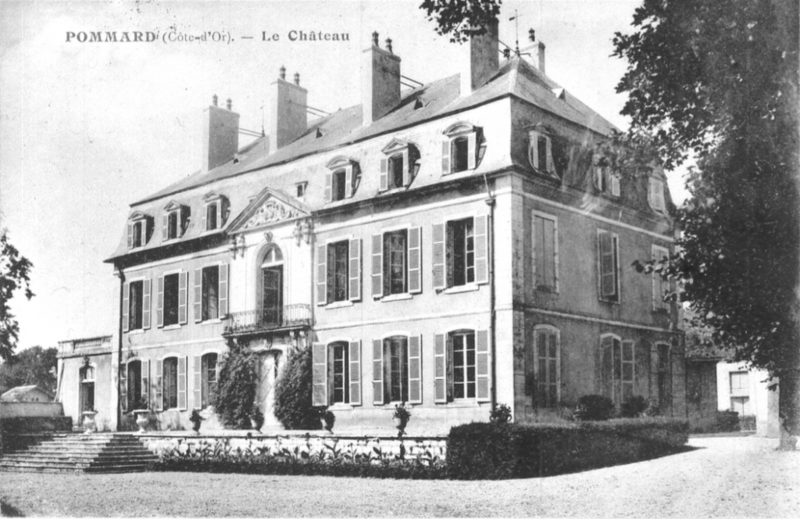 For centuries, the name of the Château changed to reflect the current residents and owners. Today, to respect and pay tribute to the legacy of our founder, Vivant, we call it Château Micault. In 2016, we also renamed one of our estate wines after him too. Made from the youngest vines of Clos Marey-Monge, our vintages of Vivant Micault are fierce, fresh and full of vitality. Just like Vivant! 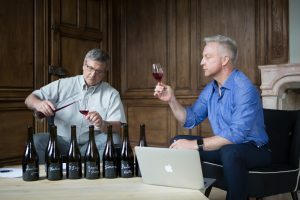 Vivant’s determination to elevate Pommard to one of the world’s most renowned wine-growing villages deserves no less. 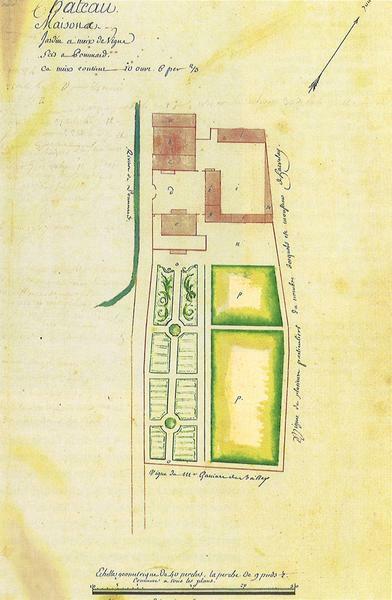 Judging by the sheer size of the winemaking and production facilities he installed at the estate, from 1730 to 1750s, as well as purchasing neighbouring houses between 1737 and 1751 and transforming them into outbuildings entirely dedicated to the vinification and aging of his “Grand Vin”, it is clear that Vivant’s winemaking aspirations were as impressive as the man himself. 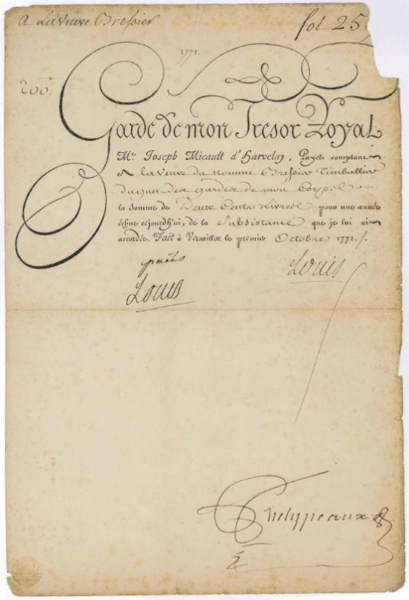 From the King: A payment instruction from King Louis XV to his treasurer Joseph Micault, 1771, instructing him to issue 200 Books to the widow of the soldier Timballier, who had served in Louis’ Guard-corps. 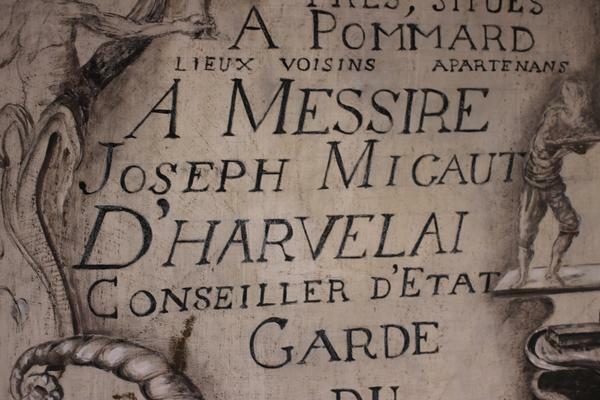 After precisely thirty years of developing and expanding his beloved Pommard estate,, Vivant Micault passed away in 1756, leaving enormous footsteps for his sons, Joseph and Jean, to follow. Two very different young men, Joseph and Jean decided to auction the estate between them as amicably as possible. In 1761, Joseph Micault, Vivant’s oldest son, became the sole owner of Château de Pommard, buying out Jean for the sum of 90,000 francs. 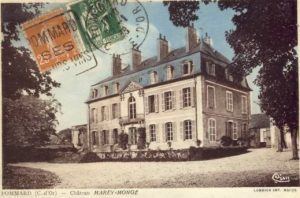 He would later become King Louis XV’s Royal Treasurer and would own the Château, its vines and winemaking facilities for only two more years, before selling it to a wise and savvy wine businessman – Mr Claude Marey. Joseph lived out his life until the age of 63, in Seine-et-Marne. Jean, on the other hand, had a more tragic destiny waiting for him. During the late 1780s, Jean was president of the Parliament of Burgundy, a position of immense power. At the start of the Revolution, many nobleman, including Jean and his wife Marie-Francoise Trudaine, left France to protect their lives. However, in November 1793, upon returning back to their birth nations at the height of the Reign of Terror – a purge of France’s enemies of the Revolution – Jean and his wife Marie-Francoise Trudaine, were stripped of their possessions and imprisoned in Dijon. They were accused of emigration. On March 17, 1794, Jean Micault was guillotined in Dijon centre. Unfortunately, his body (and head) were not returned to Pommard, to be buried among other members of his family.